2011 Link-Belt HTC3150LB, Boom 195' Jib. 1997 Grove TMS 870, 70 Ton, 138' Jib, 18000 weights. On this page, you are viewing a list of crane ads for sale, divided into a number of pages. Type: Truck Mounted Telescopic Boom Cranes. Every product from the list has images and descriptions, and a list of specifications. Above the table, please click a column label to sort the crane listings, another click of the same label will sort the listings in reverse order. You may also sort the crane listings by selecting an option from the Sort selection boxes, also located above the table. From the drop-down list on the left side of the page, you can select and filter by type, manufacturer, brand, as well as by other product specifications. 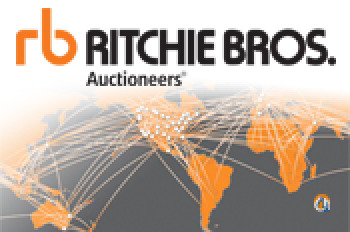 Clicking the Reset button will clear all criteria and bring you back to the Truck Mounted Telescopic Boom Crane Sales listing. The cranes filters are set to ease you in the process of finding the desired results. Buy a Truck Mounted Telescopic Boom Crane from an industry leader in Truck Mounted Telescopic Boom Cranes for sale! The mainstay of every daily rental crane fleet, hydraulic boom truck cranes offer quick set-up along with a long reach, high capacity booms and excellent highway speed travel capabilities. Generally stronger than a boom truck these cranes can lift up 150 US tons. The most common hydraulic truck cranes on the market are 40-50 tonners which can provide lifting heights up to 200 feet. These cranes have two parts: the carrier, often referred to as the Lower, and the crane and enclosed operators cabin which includes the boom, referred to as the Upper. The modern hydraulic truck cranes are usually single-engine machines with the same engine powering the undercarriage and the crane, however some models have separate engines powering the lower and the upper. New Truck Mounted Telescopic Boom Cranes and Used Truck Mounted Telescopic Boom Cranes for Sale and Rental. Truck Mounted Telescopic Boom Cranes for sale at CraneNetwork.com. Search from 1000's of Truck Mounted Telescopic Boom Crane listings for new and used Truck Mounted Telescopic Boom Cranes updated daily from 100's of dealers. Buy high quality used Truck Mounted Telescopic Boom Cranes from our network of worldwide locations for used Truck Mounted Telescopic Boom Cranes and quality lift equipment. 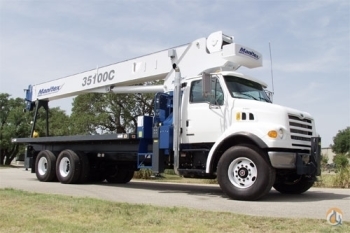 Truck Mounted Telescopic Boom Crane Sales -- find Used and New Truck Mounted Telescopic Boom Cranes for Sale and Rent amongst extensive inventory listings on CraneNetwork.com. Truck Mounted Telescopic Boom Cranes for sale and rent. See all cranes for sale on the Crane Network, a leader in Truck Mounted Telescopic Boom Crane Sales. Over 30,000 companies and individuals rely on our online services to effectively manage their fleet for the sale and rental of cranes and equipment.